If you are wondering what the best car accessories that you could buy are, you have clicked on the right link! If you want to purchase various car accessories to increase comfort and make both daily commuting and long-distance driving a pleasure, then you should check out the products we’ve listed below. Because we’ve been in your shoes and, therefore, we know that selecting great car decorations is not particularly easy, we have decided to help you out. As a result, we have gathered plenty of suggestions and ideas that you might find useful. This product is a good purchase, especially if you happen to deal with car gaps that you find annoying. By this, we mean the space located between the seat and the console. Each unit sold by Drop Stop includes two such gap fillers that you can place in the driver’s seat and the passenger side. These products are universally sized so that you don’t have to worry about the model not fitting your vehicle. As a plus, the device can contract/expand, according to the user’s needs. Moreover, because it is built from neoprene, each filler can last a lifetime, without breaking. With a sizable, 1.44 inches screen that is effortless to read, this Bluetooth transmitter is another purchase that you won’t regret. The model displays crucial pieces of information such as FM frequencies, the incoming call number, the voltage level in the car as well as the name of the song that you are playing. The product also features a power off button that you can use to turn off when not using the device. This way, you can avoid draining the battery. Lastly, keep in mind that the unit can be used to charge your phone and that it is compatible with all devices that have a Bluetooth connection. Just like its name suggests, this product includes two convex spot mirrors that you can use whenever you want to make sure that it is safe to change lines or when you want to get a better understanding of the vehicle’s surroundings. The two mirrors include small adjustable swivel mounting brackets that you can utilize to install the units in place. To do so, you should first clean the original car side mirrors and then stick each additional mirror in place. According to the manufacturer, the product fits SUVs, cars trucks, vans, and RVs but it cannot be used for motorcycles. Another practical product that you should take a good look at before you make a purchase is this car power inverter sold by Foval. This 200W unit features 4 USB ports and 2 AC outlets. The four outlets can be used for charging most tablets and phones currently available on the market. Similarly, the two AC outlets are perfect when you need a power source where you can connect your laptop in order to charge it, your Kindle or any other electronic device. The unit is small in size and, because of this, it won’t take up a lot of your much-needed space. 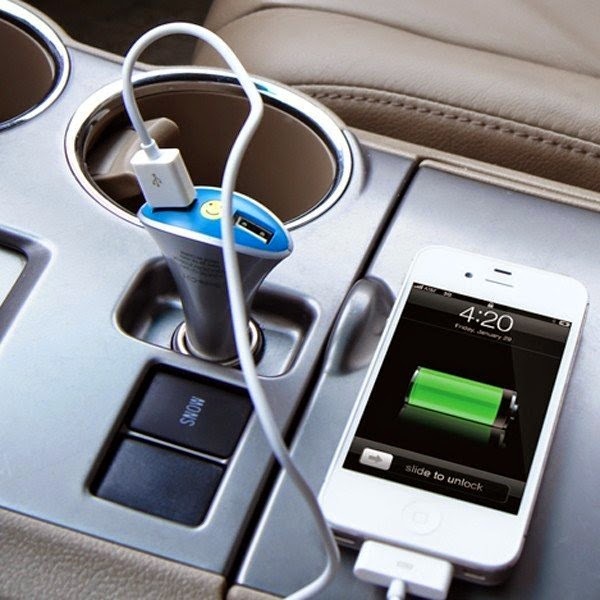 If you are set on buying an awesome gadget for your car, we suggest you take a look at this product. As former buyers have said, this charger is particularly useful, especially when on the go. Because of its 42 W output, this unit can charge your phone up to four times faster than a standard charger. Even more so, this model can be connected to three electronics at once. This way, you can make sure that all your devices are ready to be used at all times. Besides, this model includes built-in safeguards that guarantee that your devices are protected against overheating and/or overcharging. If you dread not being able to find your car documents when necessary, we suggest that you consider purchasing this unit. This holder case can be used to place your insurance card and DMV registration safe so that you can present them to the police whenever necessary. This product is an excellent idea if you like being organized. What is more, you could gift the item to your friend who is always fumbling for his/her documents whenever stopped by the law enforcement. This elegant holder case is made from quality materials, and it has sturdy linings. As a result, it can surely pass the test of time. If you enjoy traveling and don’t like dealing with garbage being thrown everywhere in your car, this product designed by High Road is exactly what you need. This portable trash can is space-saving and leak-proof, and it allows the user to attach it to his/her console. The model has a total capacity of 1.5 gallons, and it also features exterior pockets where you can hold additional supplies of wipes, tissues, and sanitizers. The product is very compact, and it is effortless to clean in between uses. When used, the model does not require that you invest in additional liner bags. Another very practical device that you should not overlook is this car vacuum cleaner sold by LIBERRWAY. The product is an ideal tool when it comes to cleaning dust/sand/ cigarette ashes and other types of debris accumulated in one’s car, or if you have just installed a new baby car seat and you expect to deal with quite a mess later on. When delivered, this model comes provided with three extra accessories that you can use when cleaning your car: a brush, an extension hose, and a nozzle. Because of its compact size, the unit is effortless to maneuver when cleaning hard to reach spaces. As a plus, apart from being able to pick up dust, this device can also vacuum liquids. If you are in search of a product that can help you keep your essentials organized and still within easy reach, check this product out. According to its manufacturer, this model is easy to install, as you just have to place it between the seat and the console. As a plus, because of its versatile shape, the product can fit in most vehicles. The unit can be utilized to store various items in it such as your phone, wallet, keys, gloves and so on. Previous buyers of the model consider it an excellent investment. The model is made from a BPA-free plastic, and it can be taken out and washed whenever it gets dirty. Another unit that might keep you stay organized is the Rampage Products 3922. This model can be used for both your rear seat and the front seat, and it is small enough to allow for center seat belt mounting. As a plus, the product supplies its users with extra armrest for a more convenient driving experience. Besides, this device is also suitable for smaller sized cars. The model is well liked by current users. Most of them have pointed out that the unit is well made and that it holds up just fine after months of constant use. What are the best car accessories to have? If you’ve ended up here, it’s very likely that you want to purchase one, but would also enjoy using a product that doesn’t look particularly ugly. Even though that most of the accessories you will come across are correlated with the idea that they have to serve a purpose, that doesn’t mean that they aren’t allowed to be a sight for sore eyes. Because there couldn’t be a proper way of defining the whole idea of a car accessory, we suggest you first establish some ground rules and understand what you are really after. Are you looking for extras for your car interior or for its exterior? Perhaps you might even want to browse through the plethora of cute car key accessories available for sale nowadays. 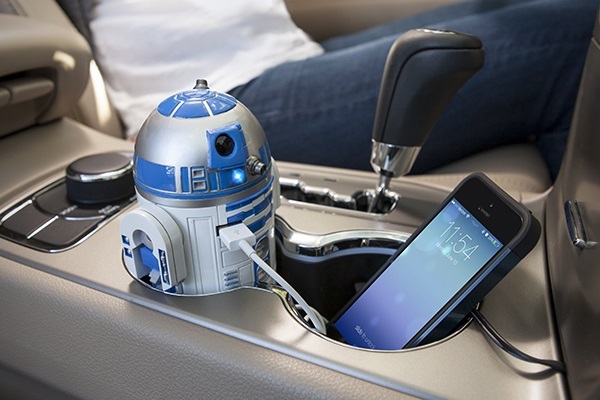 How about the best car tech accessories? Surely a GPS or a radar detector would be runner-ups when it comes to ease of use and convenience, particularly if such devices aren’t forbidden in the state you are transiting or live in. To save you some time and spare you the baffling feeling that you don’t know what you’re after, we’ve prepared a simple buyer’s guide packed with everything that you should look for in such products. Cool accessories for your car can come in various shapes, sizes, overall designs, and what’s even more important, they can be made to serve different purposes. Read on to find out more about these items. If you’d like to spice up the looks of your car and feel like you are traveling in style, three of the first types of products that you ought to give some thought to are seat covers, floor mats, and steering wheel covers. The fact is that, whether you’re after one of these or not, such alternatives have to be made to withstand quite a bit of abuse. Some say that your car is a good clue as to what type of personality you have. If you aren’t particularly organized, we suggest opting for some organizers as they can save you a whole lot of space and can provide the necessary means for you to be prepared in the event of an emergency or anything else. While some prospective buyers might be interested in cool car accessories strictly because of the way they look, others might be focused on practicality. Extras for parents who drive are made to serve their needs especially in terms of extra space and storing items like kids’ toys, diapers, wipes, and even medicine in some situations. These products could range from side mirrors, headlights, turn signals, and tail lights, to fuel tank doors and fuel caps. It goes without saying that most or all of these components come with the vehicle when you buy it for the first time, but some might be antiquated or might not please you visually. One of the cool accessories that many modern drivers are interested in is bulbs. While they might not be precisely fascinating at first glance, they can actually increase both the value of the automobile and can enable you to save energy. Opt for LED bulbs if you’re focused on saving money because they tend to last a good deal of time. Some things, like wheels, rims, and even car covers, aren’t made to be universal. For example, if you were to get a truck tent, it would be imperative for you to check its compatibility with your vehicle dimensions. It would be an entirely different thing if you were to look for RV toilets, solar panels, and other extras made for motorhomes, because one model differs largely from the next in terms of size and a lot of other features. While some new car models come with integrated navigation systems, they might be less suited for people who have bought their vehicles only thanks to great financial efforts. One of the popular gadgets for cars that are now available is the standard GPS. However, even this kind of device is gradually becoming obsolete considering that these days you can use a GPS app on your smartphone. One thing that’s particularly neat about GPS units is that they provide reliable data which needs to be updated only on occasion. Some even come with live traffic updates, which is a feature that you might fail to find in many mobile apps. However, if you really aren’t willing to invest in a GPS or you’re so accustomed to using your smartphone that you have nothing against utilizing an app, the accessory that you most likely require for it is a mounting system. Your DIY skills can come in handy if you can hang your smartphone from your mirror, for example. Be advised that this practice is frowned upon by most local legislations as many police officials are of the opinion that they hinder your vision. Two types of extras can make your life a lot easier if you drive for long distances and rather often. One of them is a rear view camera, a device that will help you park your car and see what’s happening behind you while you are on the road. If you already own an action camera such as a GoPro, for instance, all you need is a separate mount for it to become a rear view camera. Just make sure you go for a model that can film for several hours at a time, especially if you’re in for a longer drive. The other is a typical dashboard camera that can provide its services even when the vehicle is parked. What this means is that you will encounter no difficulties when dealing with insurance-related mishaps. As you can see, there are heaps of accessories that can be borne in mind. Some are more affordable than others, though, so you need to ensure that your budget doesn’t suffer from any purchase. A mount might cost less than twenty dollars, but a GoPro camera is not the most reasonably priced product you might have laid your eyes on.